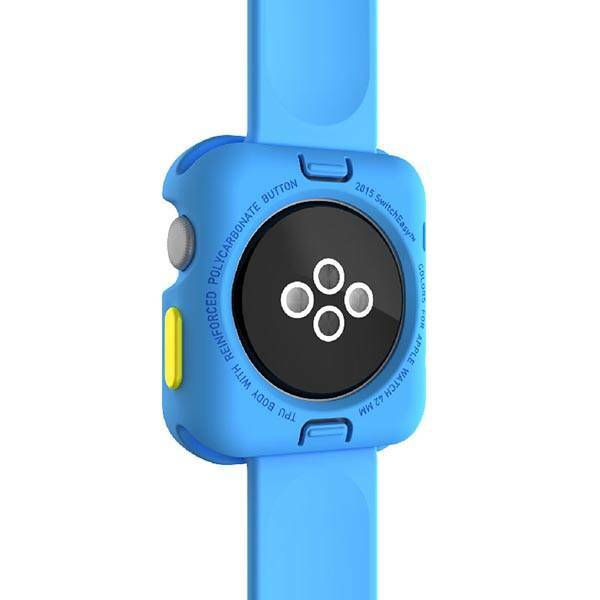 SwitchEasy has released their latest Apple Watch case – Colors. As its name implies, with three interchangeable buttons, the protective case provides you multiple color combinations. 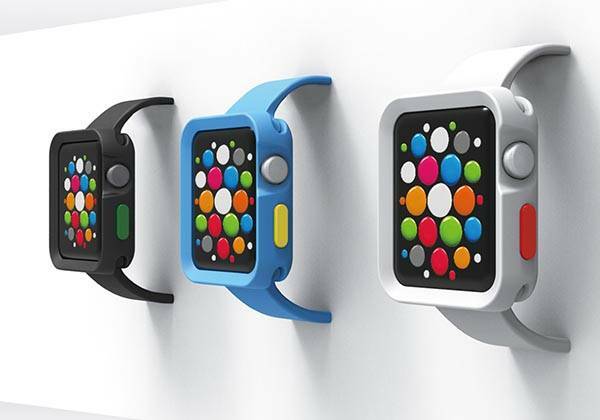 The Colors Apple Watch case measures 45 x 41 x 11mm and weights 5g. 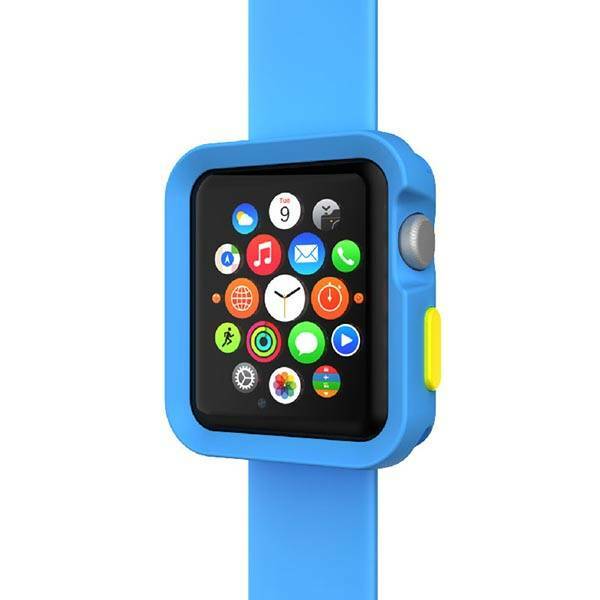 As we can see from the images, the protective case features three optional colors and three interchangeable button covers in different colors in order to match with the band of your Apple Watch Sport, and delivering you multiple charming color schemes. Moreover, the Colors also features a rugged design plus raised edge to protect your smartwatch from bumps and scratches on your wrist, and custom openings let you access to all buttons and functions. The Colors Apple Watch case comes in three colors, each is priced at $14.99 USD. If you’re interested, jump to SwitchEasy for its more details. BTW, also don’t miss CandyShell Fit Apple Watch case and more choices by following tags.